TORRESDALE -- The family of a teenage girl who went missing last week says her body was recovered in the Delaware River. 14-year-old Pamela Flores vanished October 27th after never making it to Frankford High School. 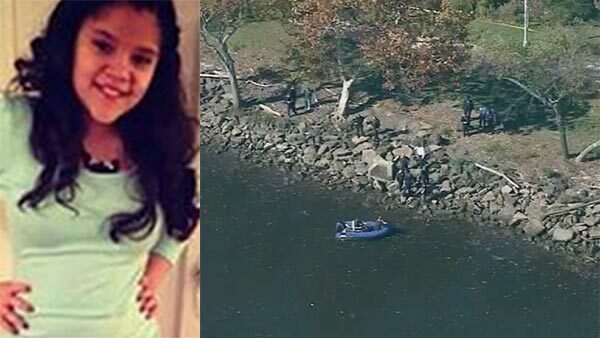 Her backpack and cellphone were found near the Tacony Palmyra Bridge. Her family confirmed to Action News that it was Pamela's body that was discovered floating near the boat ramp off Linden Avenue in the city's Torresdale section Wednesday morning. The teen's family had mounted an intense social media campaign trying to locate her. Surveillance video from the bridge reportedly shows someone either falling or possibly jumping into the river. By phone Wednesday, Pamela's sister told Action News police had contacted the family following the recovery. However, police have not identified the body as of yet.